Eugene Kinlow discusses education and his bid for the DC City Council’s Ward 8 seat on the third anniversary Education Town Hall with Thomas Byrd. “I’m a hard grader,” says Kinlow, declaring that mayoral control “fails,” while the DCPS Chancellor “passes.” He adds that DC schools have done well in updating facilities but not on improving educational opportunities for all students. Mr. Kinlow is among the many candidates seeking to fill the Ward 8 seat left vacant when Councilmember (and former Mayor) Marion Barry died in late 2014. His own education includes a degree in business from the University of the District of Columbia, while he and his family all attended DC Public Schools. 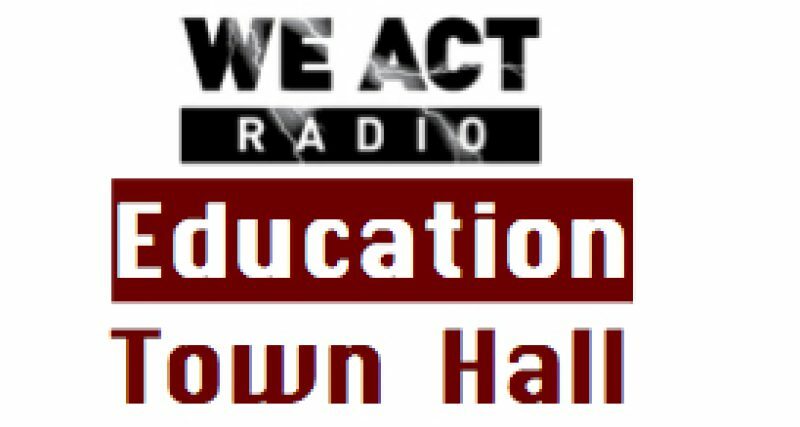 The Education Town Hall broadcasts from Historic Anacostia in Washington, DC, Thursdays at 11 Eastern on We Act Radio. The Education Town Hall BUS is a monthly program organized by BadAss Teachers, United Opt Out, and SOS March. The program regularly airs on the 4th Thursday of each month. Previous Post: Black History and the School-to-Prison Pipeline at Howard University Middle School?